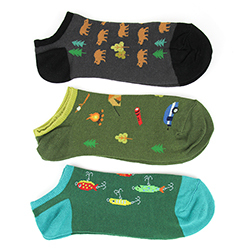 If you are an outdoor guy, you will love our three pair pack of no shows. 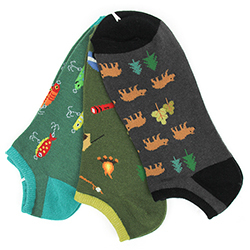 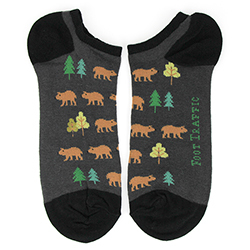 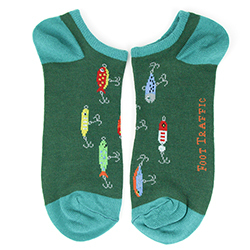 Each pair has a different design representing the great outdoors. 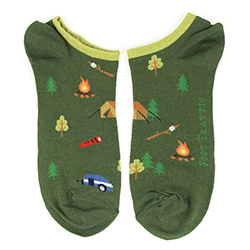 The selection includes bears in the woods, fishing lures and camping.